You are currently browsing all posts tagged with 'teen mani-pedi'. It’s back to school. A new year. Maybe even a new grade. Unfamiliar faces. Homework. Stress. No worries! Kid and teen spa treatments are here to help. Spas are getting hip to the idea that teens might want to experience the benefits of spa treatments. 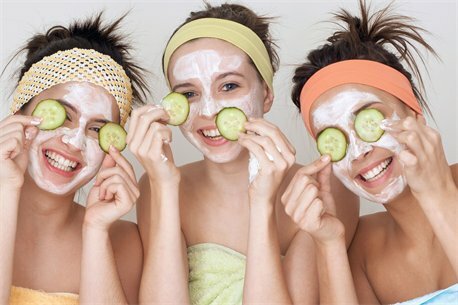 They might be going through a period of acne and could use a facial to help diminish imperfections. Perhaps they are involved in sports and could use a massage to ease muscle soreness. My little sister (from Big Brothers/Big Sisters) is 12 and going through a serious nail-design addiction. Check with each spa on their policies regarding children and teens. Ask what ages they serve, what treatments they offer, and whether gender preferences are guaranteed. Some spas require a parent or other adult to be present during the treatment. 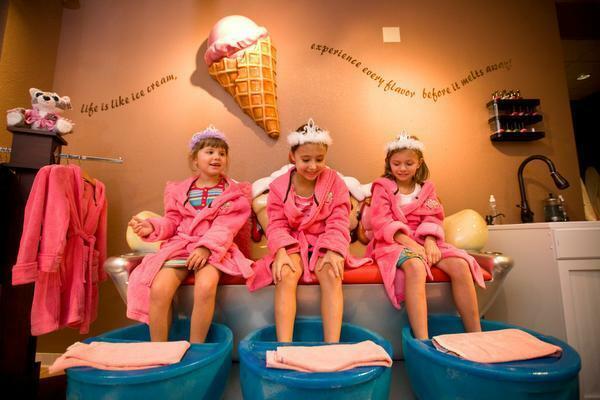 Make sure your kid wants to partake in the spa treatment before booking it. Most websites offer descriptions and prices of their offerings. If not, call and ask.